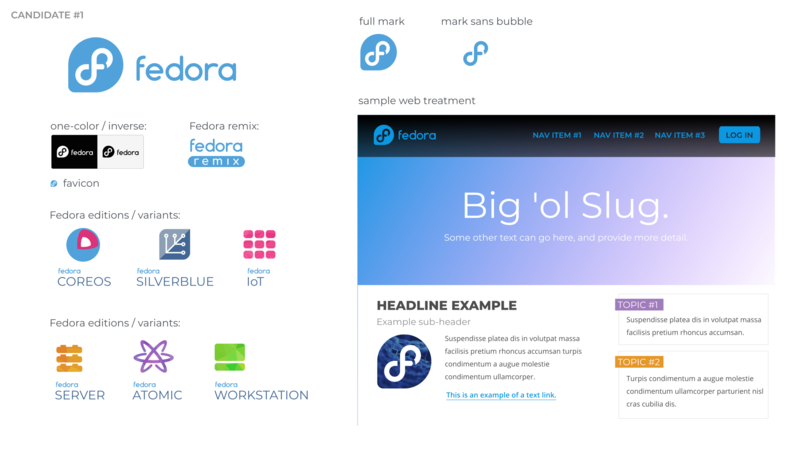 Máirín Duffy has posted a very detailed and fascinating account of the Fedora Design Team's work towards updating the project's logo. The team has asked for feedback on two candidate designs. My personal preference is for Option 2 - it feels more modern, and fixes more of the issues described in the post. 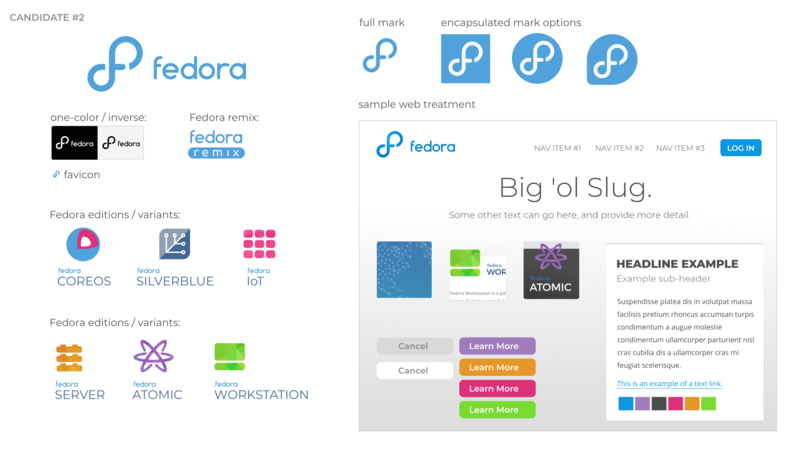 The most pressing one for me, from a branding point of view, is the confusion with Facebook. Got a view? Feedback can be left on the Design Team's ticket here.